I’ve made a new video for this exhibition, comissioned by Pavilion in partnership with The Hepworth Wakefield. The Follies of Youth is a programme of historical research and contemporary art commissioning by visual arts organisation Pavilion. Three artists – Giles Bailey (based in London), Amelia Crouch (Bradford), Ruth Lyons (Cork) – have produced work in response to three landscapes in West Yorkshire – Stapleton, Whitley Beaumont and Byram – listed in the account book of Lancelot ‘Capability’ Brown (1716–1783). Supported by a collective of producers, nicknamed ‘the follies’, the artists have undertaken field trips to the ruinous and industrial landscapes. In an attempt to recover Brown’s lost designs, the artists have engaged the follies in rehearsing certain eighteenth century practices: of Arcadian poetic fantasy, walking etiquette and lime kilning. The results of the exercises will be exhibited at The Calder, from 2 April – 31 May 2015, alongside The New Arcadian Journal, which is preparing an issue in time for the landscape architect’s tercentenary in 2016. 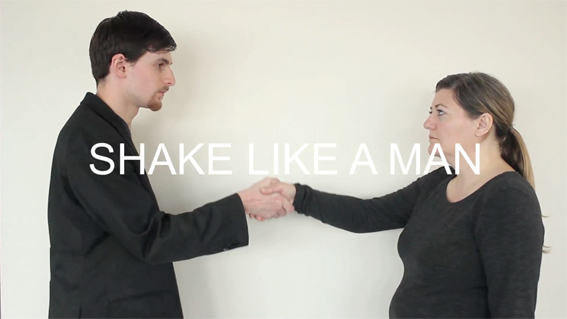 My films ‘Shake Like a Man’ and ‘Double Over’ are being shown as part of a screening programme at Zeppelin projects, Melbourne. Featuring a diverse range of national and international artists this is Zeppelin’s first moving image exhibition. Utilising the galleries two street side windows, works will be exhibited between 8-11pm most evenings from the 15th- 27th of Feb. Launch 15 Feb from 8-11pm. 284 Albert Street, Brunswick Melbourne. My video ‘Double Over’ is being shown on 1 November at Salford Quays as part of the Northern Artist Film Programme, at 11am and 2.15pm. Throughout the day there’s a series of fantastic sounding screenings in Quay’s Cultures mobile cinema, including selections from LUX and Animate Projects. Also in the NAFP, works by Sarah Hill, Joe Stokes, Jesc Bunyard, Esther Johnson, Chris Hall, Rose Butler, Cecilia Stenbom, Nick Jordan, Jade Monsterrat, Sois de Traca, John Wannehag, Tessa Green, Alexander Morrison, Abigail McVeigh and Kevin Craig. In November I will be undertaking a residency in Wakefield with The Art House. I will be making a new video artwork inspired by Fell House and empty office and ex-police building, using it as both a site for production and a video ‘set.’ The work will respond to the history of Fell House, considering job-role and self-identity in relation to work and institutional contexts. You can contribute to the project by answering a questionnaire HERE about work and personal identity. The work I make will be exhibited at Fell House on Wednesday 26 November, as part of the Wakefield Art Walk. A selection of my videos are going to be included in the video showcase programme ‘Speak, Document, Manipulate’ on Wed 29 October as part of Gnarl Fest. 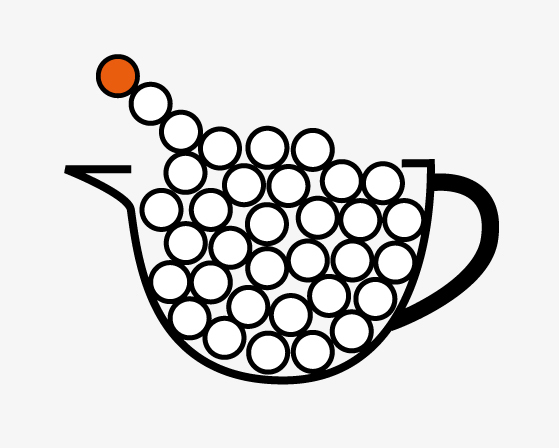 This is the second edition of GNARL fest, the East Midlands Platform exhibiting International and National Live Art. Overall the festival includes work by artists from over 20 countries, exhibited from 27 Oct to 1 Nov.
Decision Time is an exhibition with artworks, performances, talks and dialogues exploring decision-making in the context of the Scottish Referendum on independence. As time has progressed towards the referendum people are engaged and debate abounds. When striving for objective knowledge to evaluate and base our decisions on, we are confronted with subjective reasoning, hopes and fears. 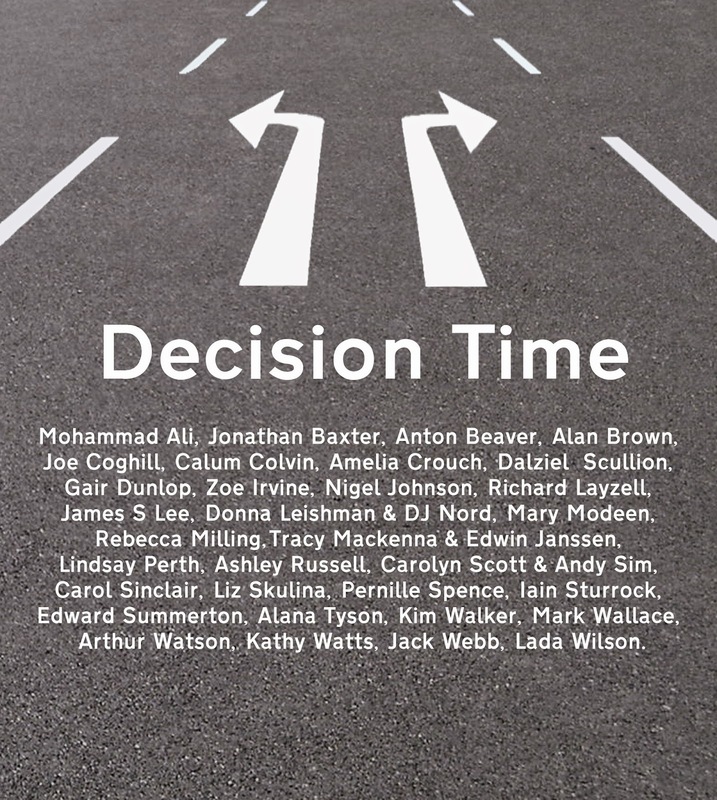 Decision Time brings together works that explore, often playfully, individual processes, reflections and conclusions. Just like other members of the public, artists have researched, expressed their preferences, beliefs, feelings, affiliations, confusions and decisions. There’s a couple of chances to see my work screened next week in Leeds and Durham. On Friday 15th August Breeze Creatives will be showing a selection of my work at Old Shire Hall, Durham, County Durham, DH1 3HP. 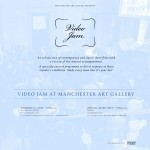 From 7-11pm they are staging a free night of film, video and moving image work by a range of filmmakers and artists. Over a dozen rooms throughout the Grade II listed Old Shire Hall will be turned into screen rooms to showcase a diverse range of work. On Saturday 16th August my videos ‘Double Over’ and ‘Tractor Parade’ are included as part of HOARD’s onsite cinema from 11am-4pm. The screening is part of a full day including an exhibition and loads of workshops at Leeds Valley Park, Pontefract Road, Leeds, West Yorkshire, LS10 1AB. Parking available on site (details here). Or there is a free bus from Leeds City Centre. Details on the HOARD website. I am happy to have recently received Arts Council grants for the arts funding. Over the next few months I will be developing some new work including screen prints and videos. 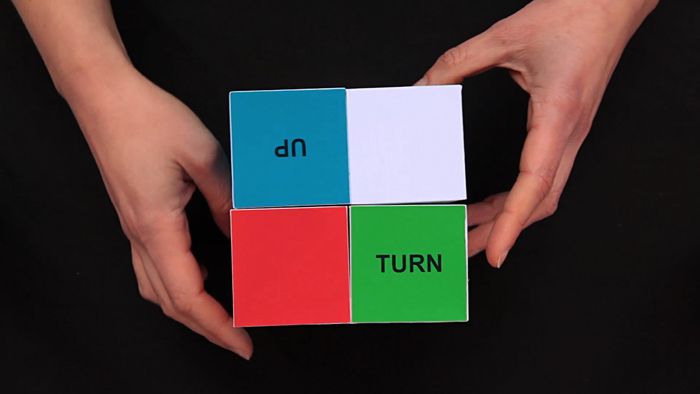 The work will variously explore the relationship between looking and language and at the moment I expect to make one video about prepositions and another about colour perception and colour terminology. If you want to keep up to date with what I am doing then my blog includes some more or less oblique details of this work in progress. 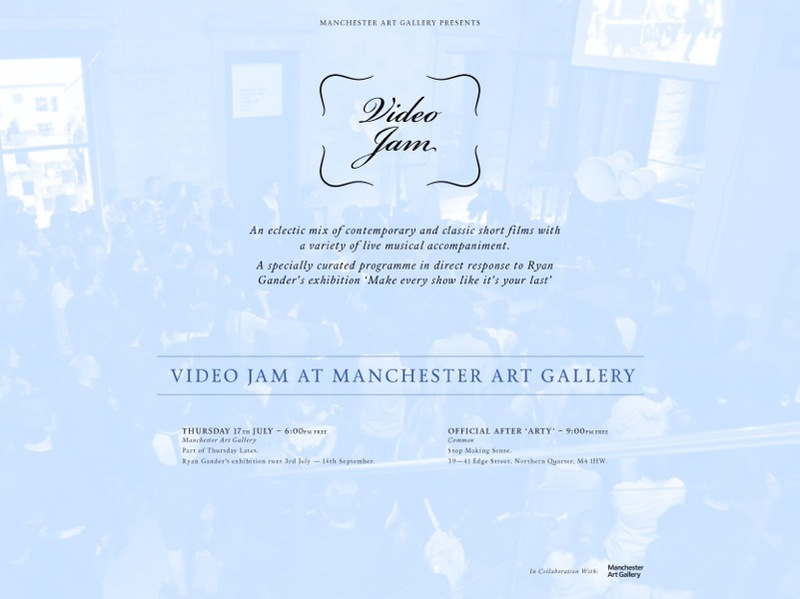 Described as ‘one of Manchester’s most innovative nights’ (Manchester Wire), Video Jam is an ongoing series of unique experimental events that seek to explore and reconsider the relationship between moving image and sound. Our programmes feature a wide variety of short films of all genres, from amateur and professional artists alike. For each of these films we commission a different musical act to compose an original soundtrack of their own interpretation to be performed as a live accompaniment, resulting in what we call a ‘blind collaboration.’ As curators, we act as the go between, bringing together these two elements to create a new, third entity to be witnessed as a live experience. 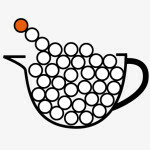 Experimental short films with work by 10 Bradford artists. Shown on the Big Screen in City Park Bradford as part of Bradford Festival, 13-15 June 2014. Sunday 15th June: 14:00 – 14:30pm. I have programmed some experimental short films by Bradford artists, featuring work by: Andy Abbott, Yvonne Carmichael, Amelia Crouch, Dermot Daly, Lucy Illingworth, Martha Jurksaitis, Joshua Tucker, Elizabeth Walshaw, Simon Warner and Roza Zaleska. Download PDF screening guide here. If you would like to meet some of the artists/filmmakers, join us for the Saturday screening 18:30-19:00. With thanks to the teams at Bradford Festival and Bradford Big Screen for their support. Above Image: still from ‘The Ballad of the Rawson Sisters’ by Yvonne Carmichael.